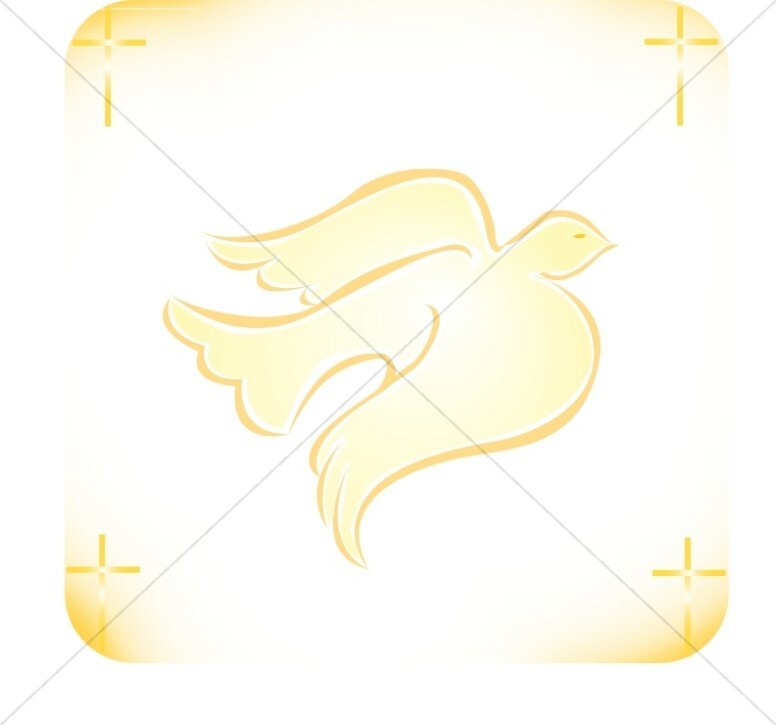 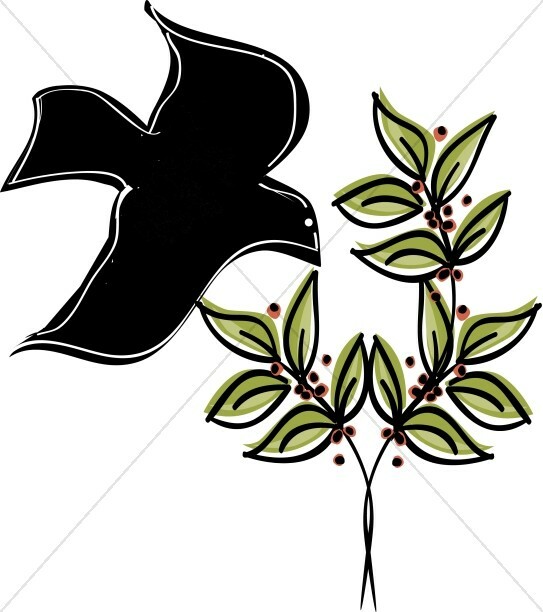 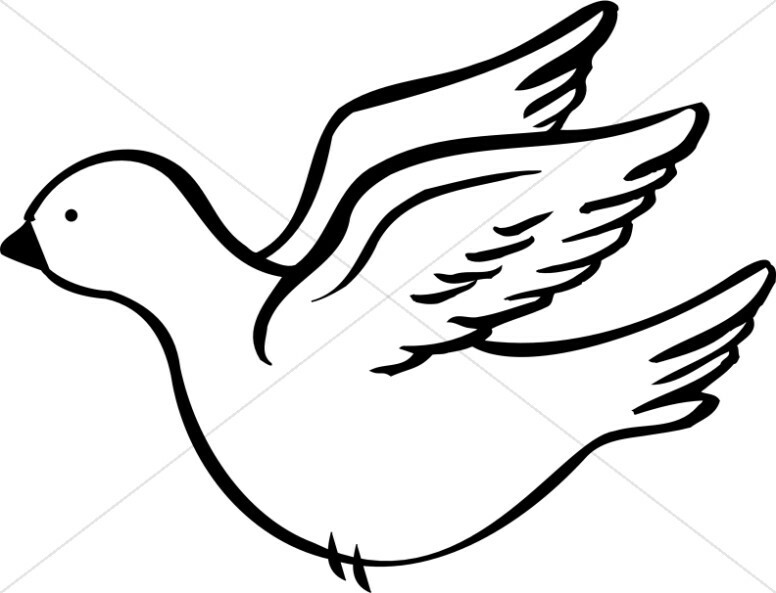 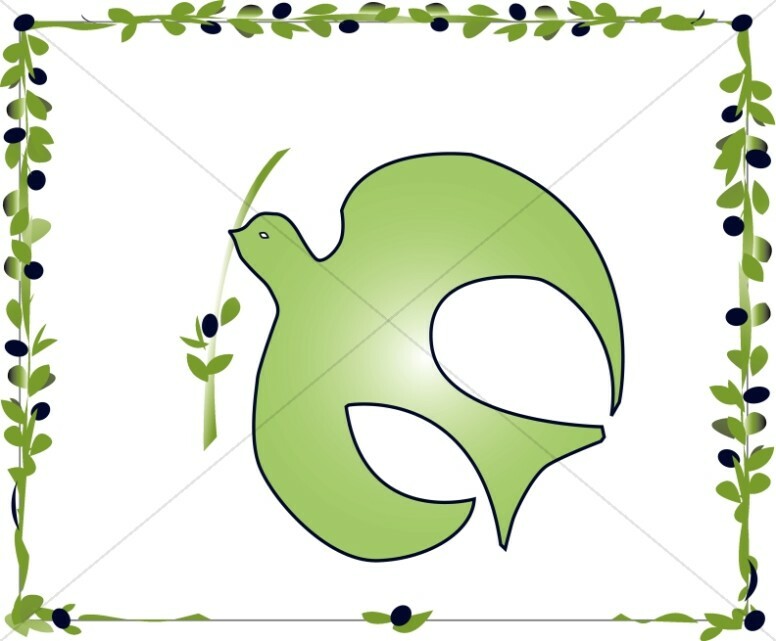 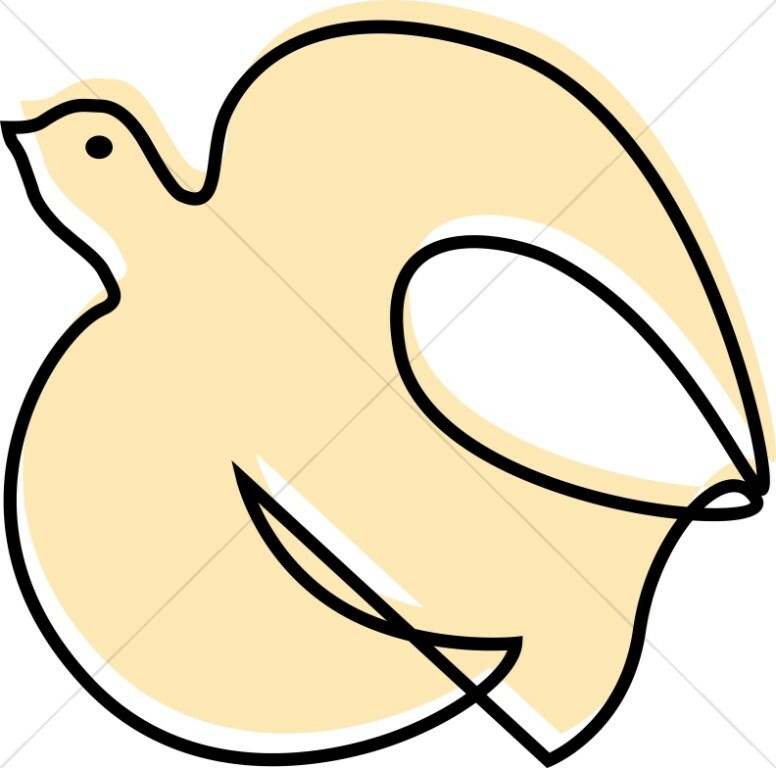 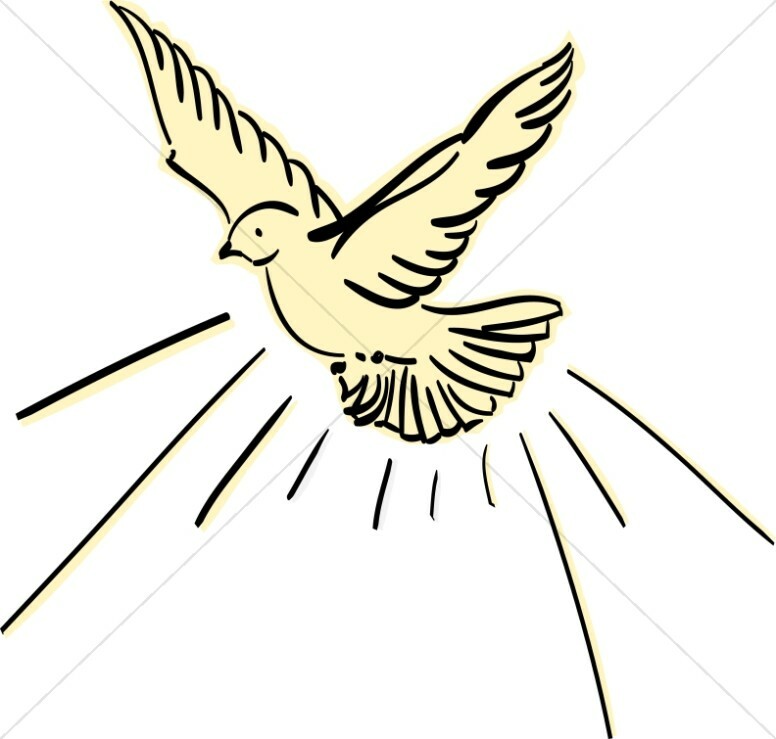 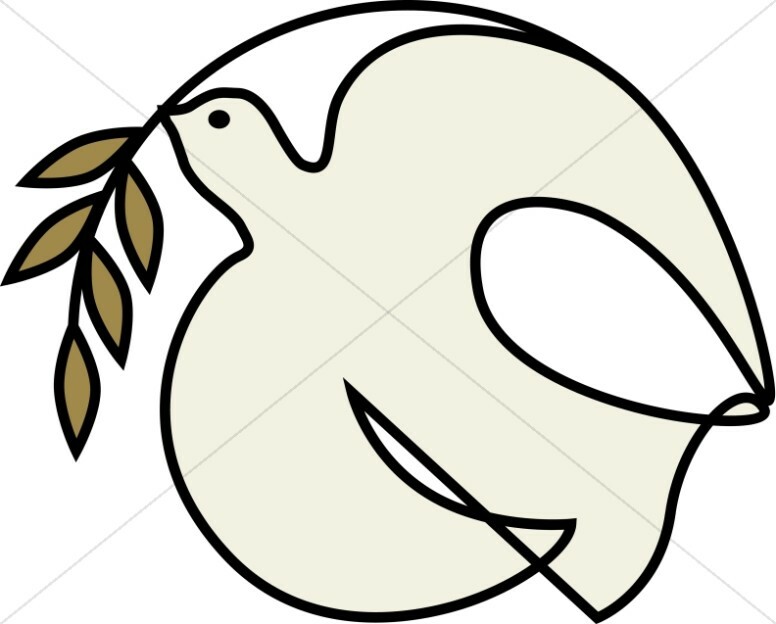 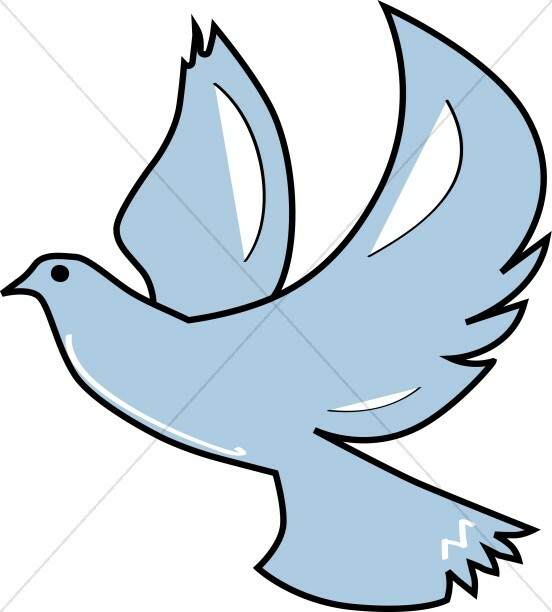 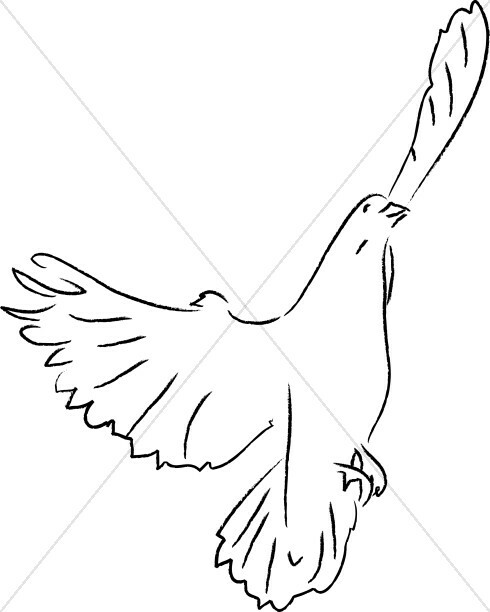 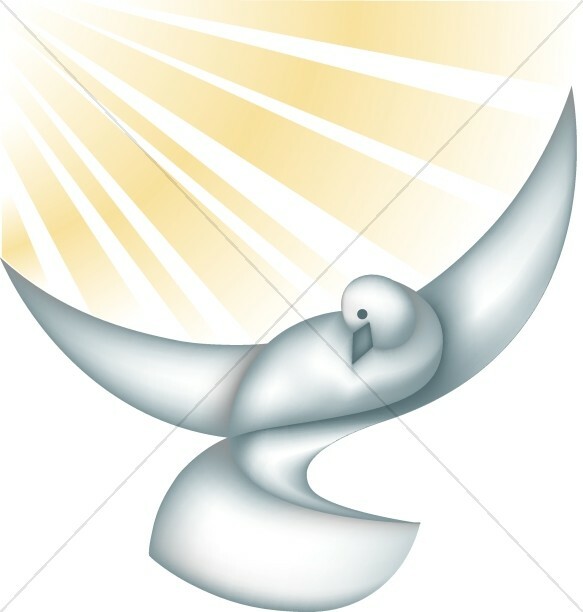 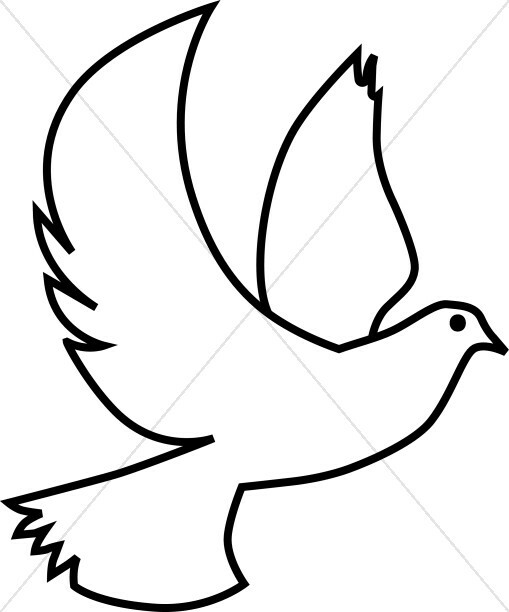 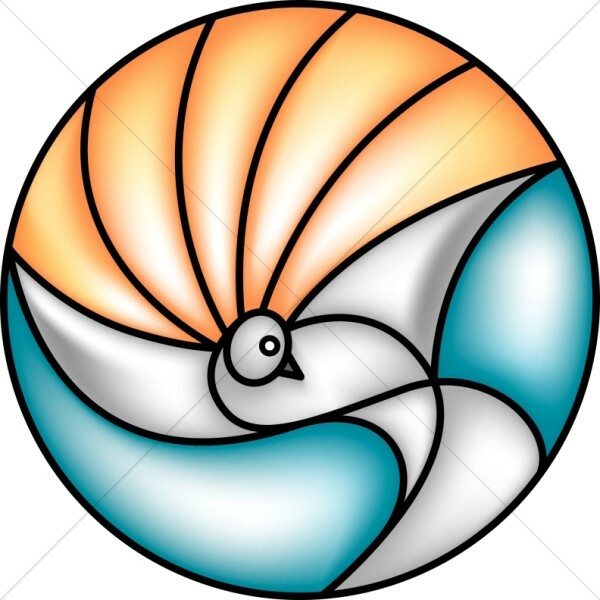 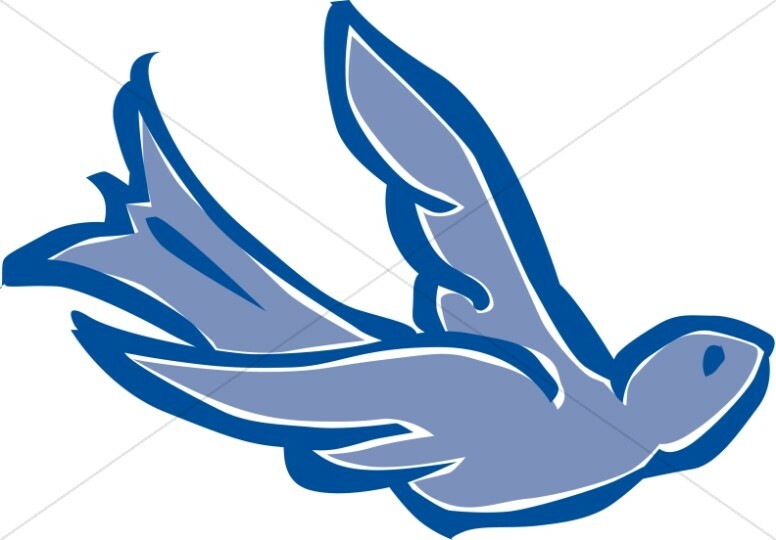 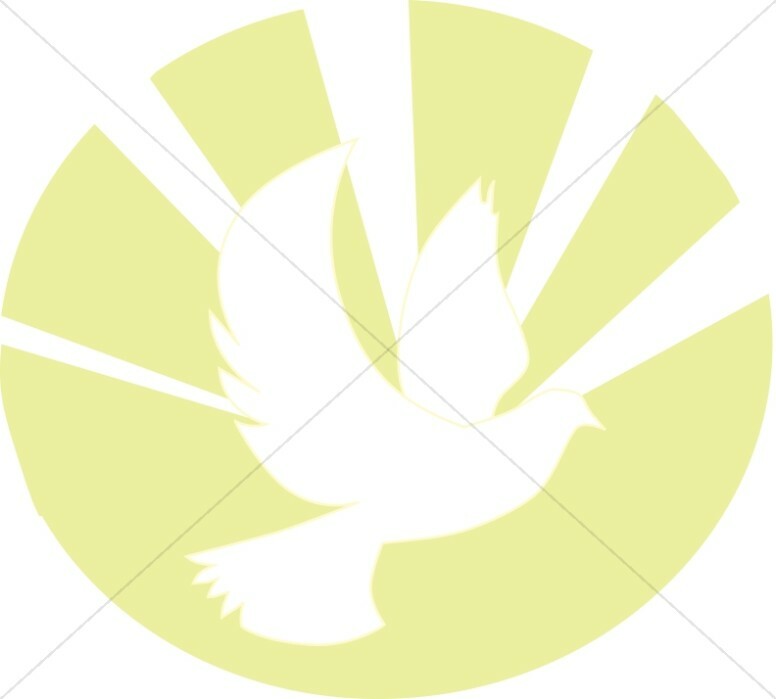 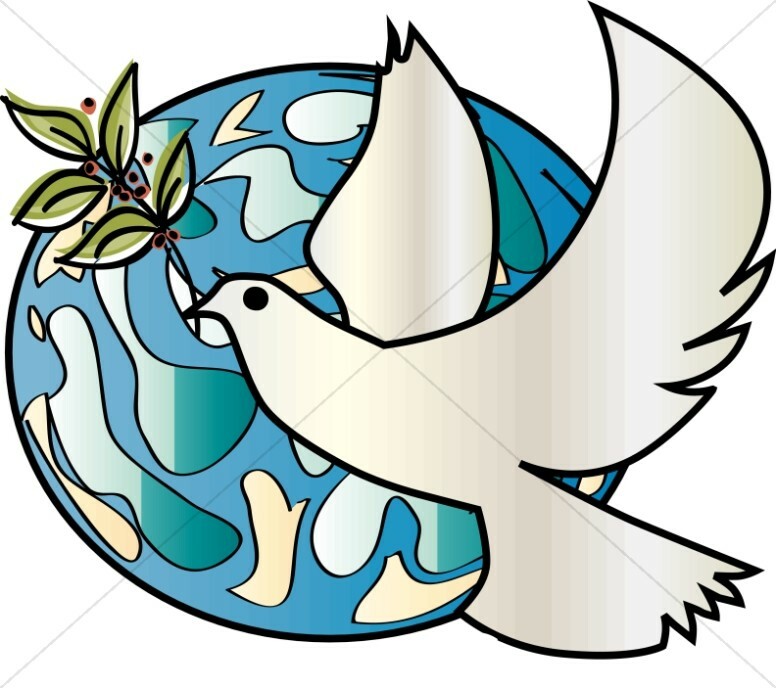 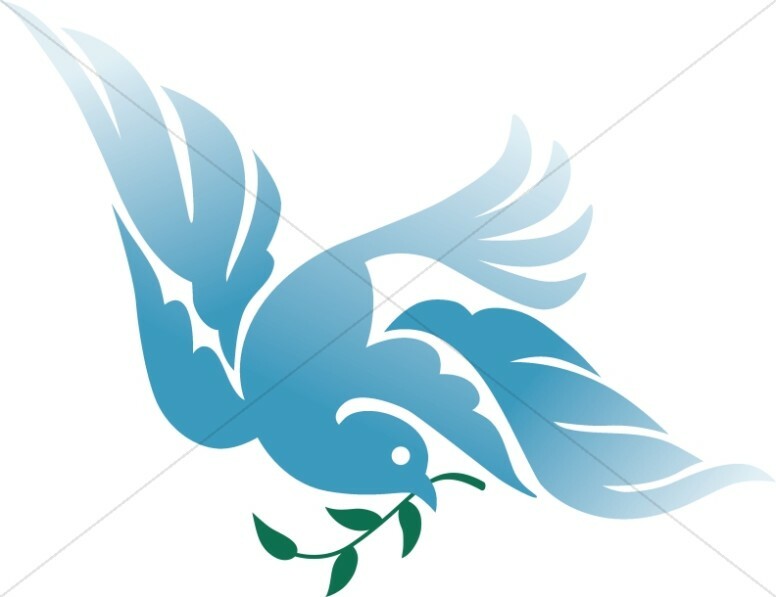 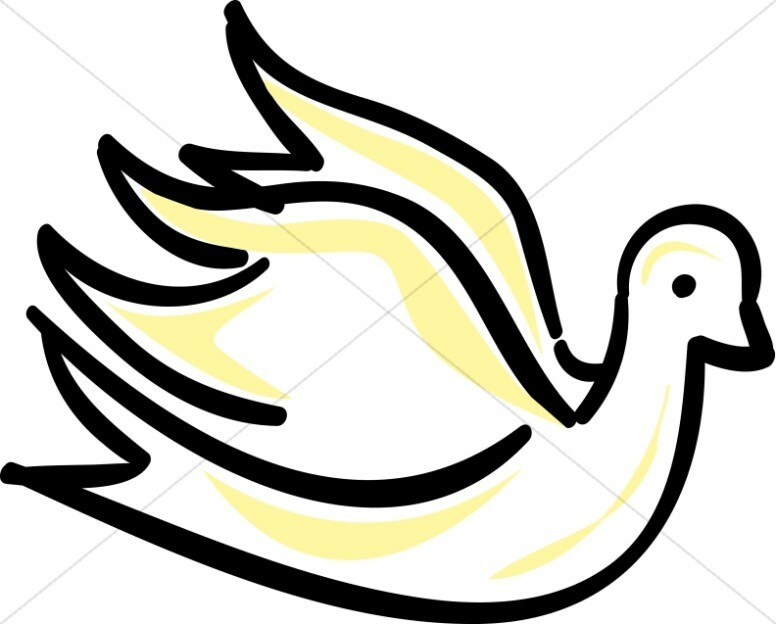 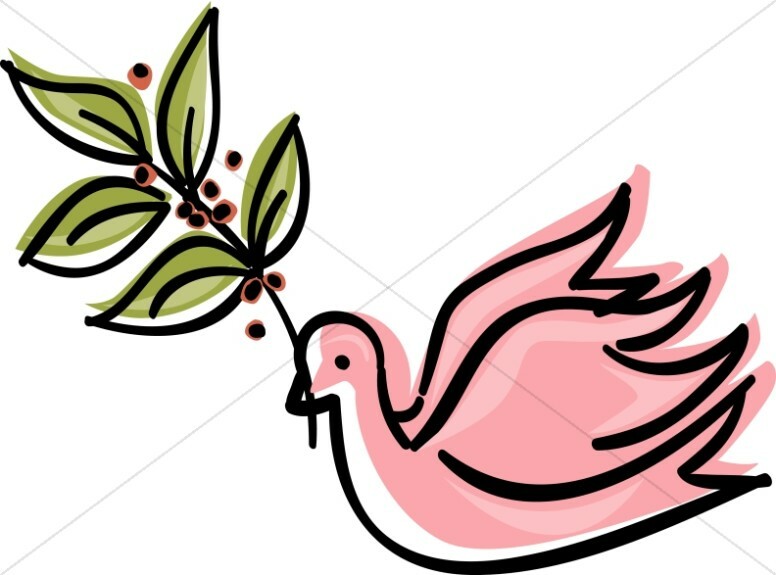 The white dove images in the Dove Clipart collection symbolize the Holy Spirit. 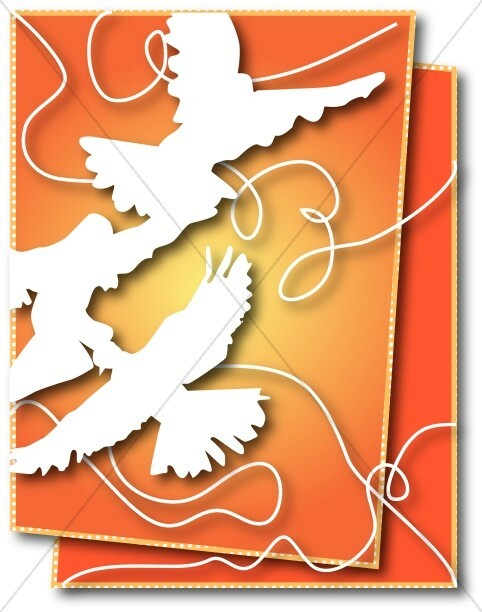 They also depict important bible stories, such as the story of Noah's Ark and the flood in the Old Testament. 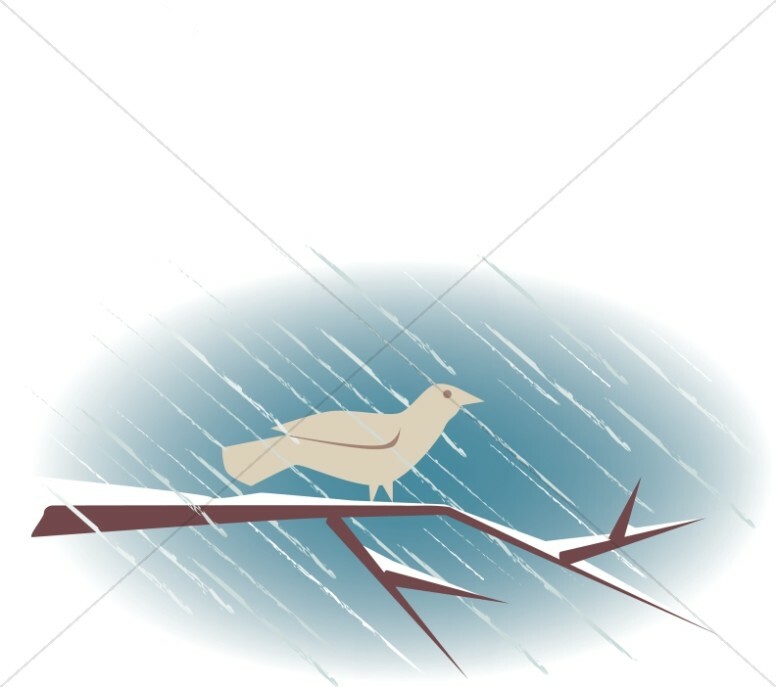 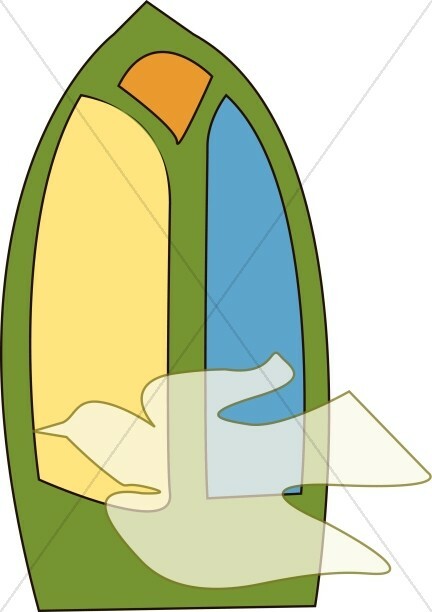 After the forty days of flood, a dove returns to Noah carrying the branch of an olive tree, representing the end of the flood and God's plans for renewal. 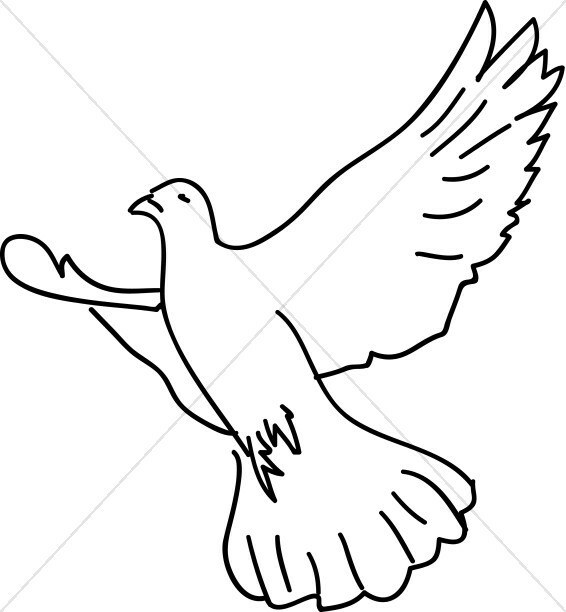 Doves can also be found in the traditional Christian imagery for Christmas and Easter. 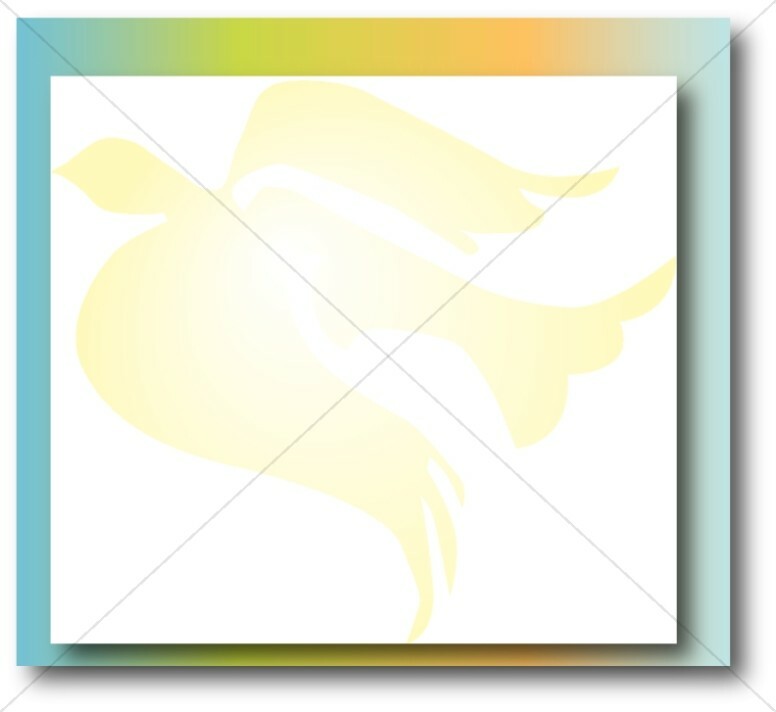 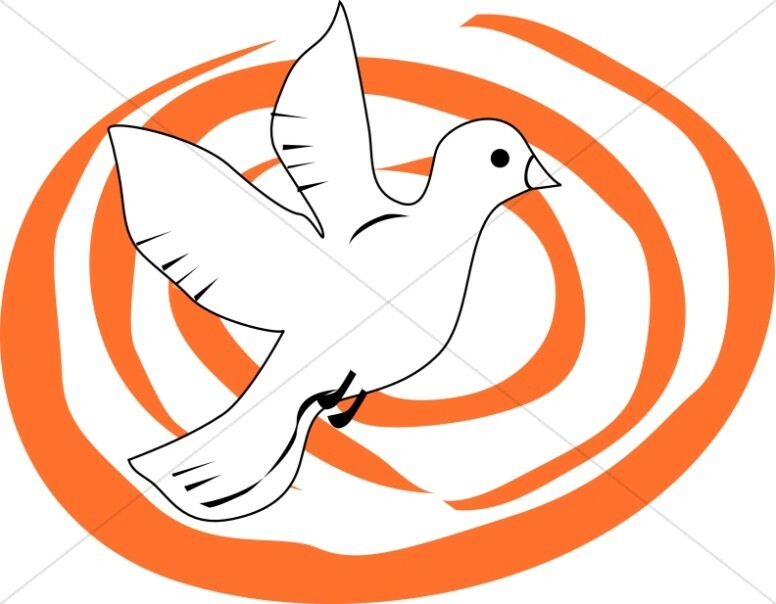 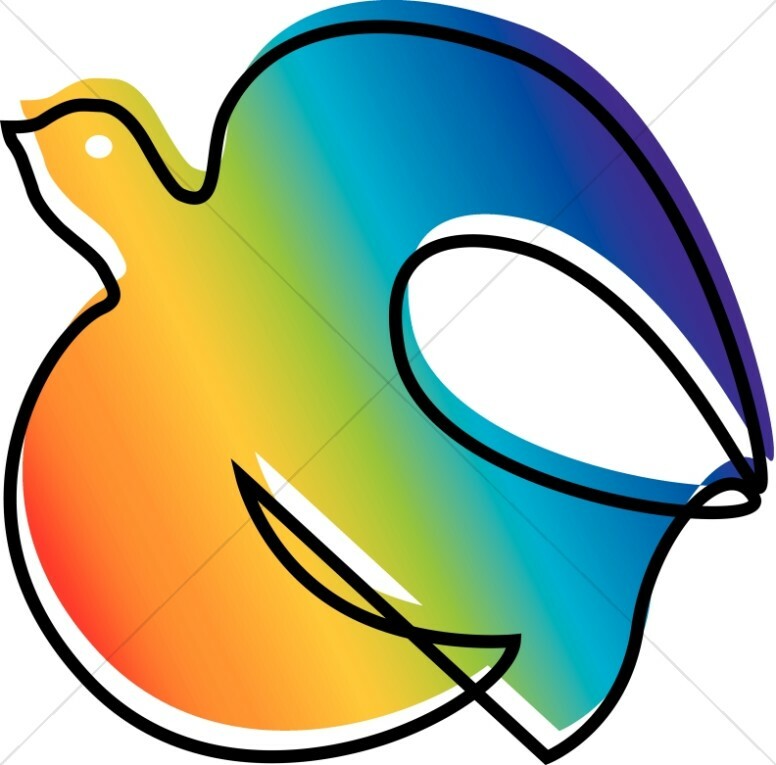 For cover art purposes, there are dove graphics with birds in flight, including the open-winged dove used in the Sharefaith logo, a dove image descending against the backdrop of the brown cross, and a dove graphic being released by outstretched hands. 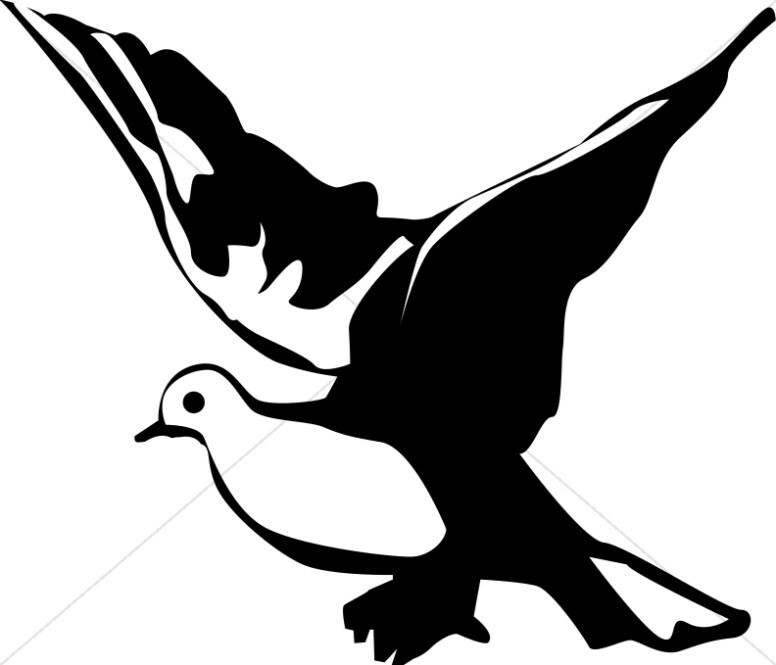 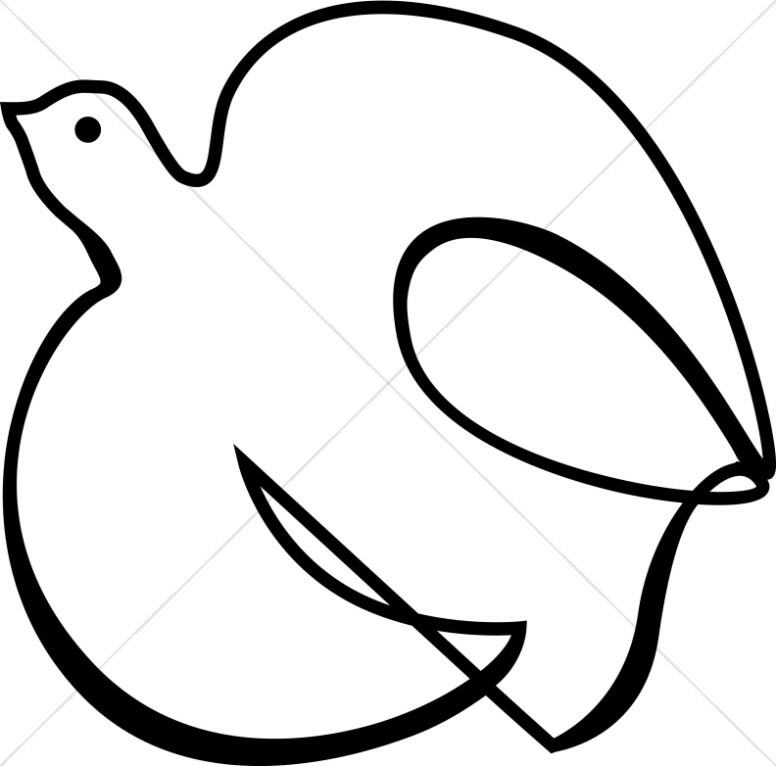 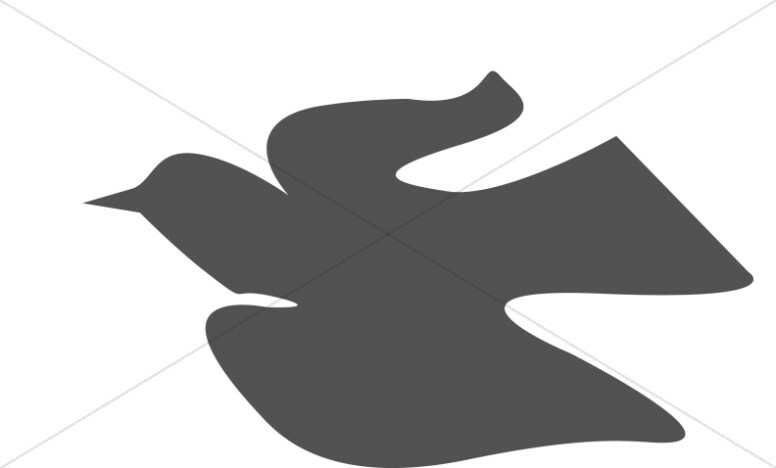 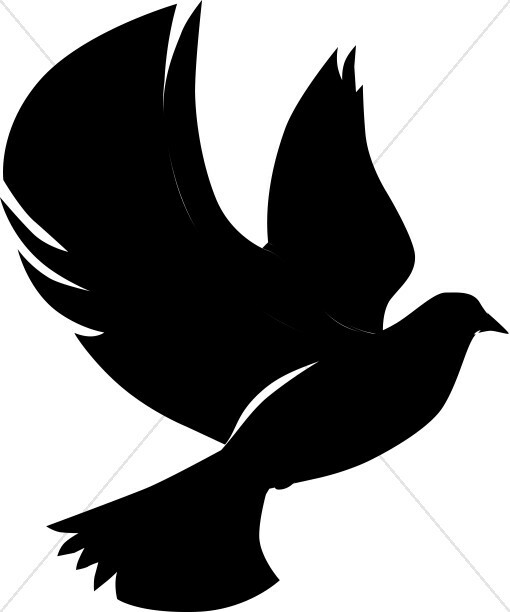 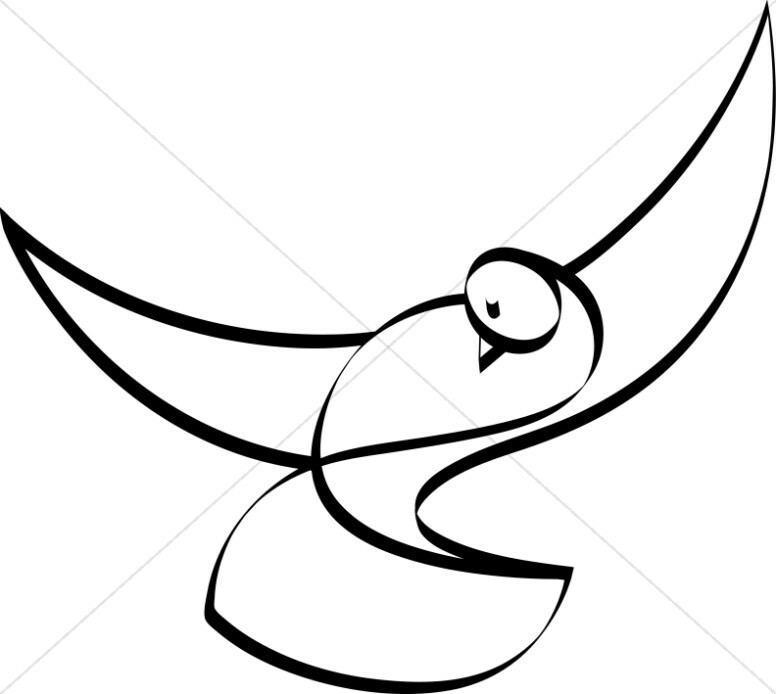 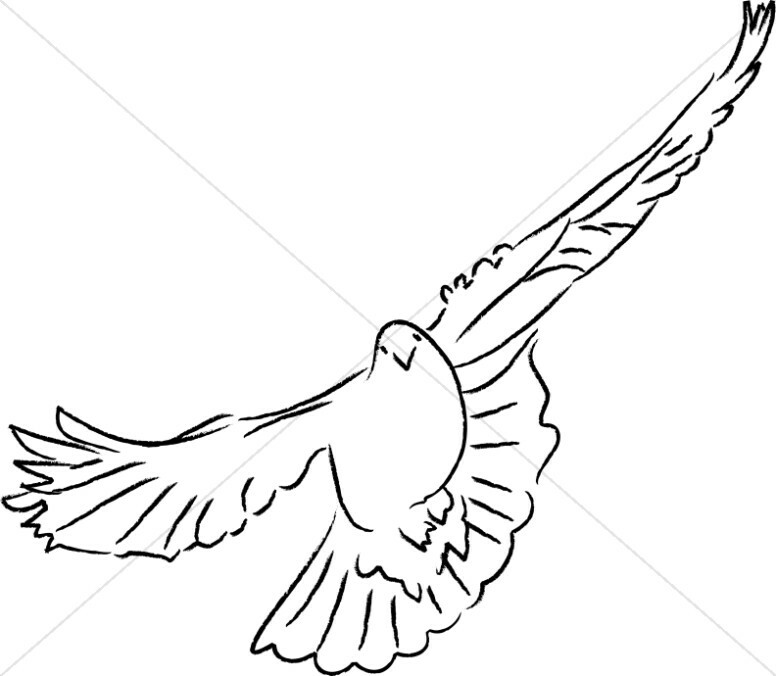 Also available are many line art doves that print well in black and white.